We’d love your help. 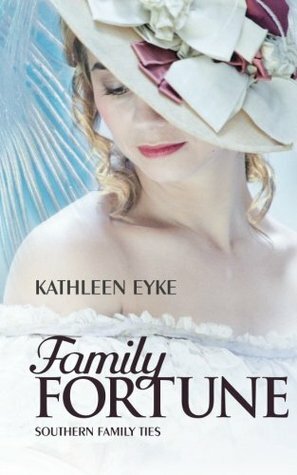 Let us know what’s wrong with this preview of Family Fortune by Kathleen Eyke. After having run up considerable debt, Emma’s father needs her inheritance from her maternal grandfather and he has a plan that seems guaranteed to Defying the restrictions of society, Emma Johnston plans to become a teacher and help broaden the lives of young women. Society, her father, and even her own heart betray her and leave her longing for a different life entirely. To ask other readers questions about Family Fortune, please sign up. I voluntarily received an advanced review copy of this book and chose to review it. Family Fortune is a refreshing telling of the same old storyline current done to death. Rodger is sent to guard Emma from her evil, well not really but you get the gist, father. You've heard the storyline a million times, he falls for her but can he let his feelings for her jeopardise his work and her safety? However, you've never heard it told like this! 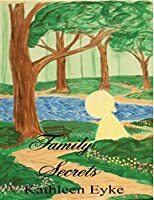 Set in the 1855 Family Fortune is like nothing you've ever I voluntarily received an advanced review copy of this book and chose to review it. Well written, kept my interest, interfered with my housework because I couldn't put it down. I would let my granddaughter read it if she weren't just 2 yrs old. I can hardly wait for the sequel to be released. I enjoyed this book a lot; although I'm not a fan of Westerns as such, this one avoided all the usual cliches to give a fresh look at the time and place from the point of view of a very modern-minded (for the period) young woman. I liked the way the author kept it real and didn't fall into the trap of putting a 21st-century personality into the role, and yet explored the issues around emancipation. It was well done. I did have a momentary hesitation about the notion of 'high society' in America, I enjoyed this book a lot; although I'm not a fan of Westerns as such, this one avoided all the usual cliches to give a fresh look at the time and place from the point of view of a very modern-minded (for the period) young woman. I liked the way the author kept it real and didn't fall into the trap of putting a 21st-century personality into the role, and yet explored the issues around emancipation. It was well done. I did have a momentary hesitation about the notion of 'high society' in America, but since my own knowledge of the Old West comes entirely from films such as Cat Ballou, this is probably down to my own lack of familiarity with the period. After all, we can complain if a book doesn't match facts, but we can hardly complain if it is at odds with someone else's work of fiction! Did Margaret Mitchell fake her death and change her name to Kathleen? At the risk of seeming irreverent, I love this book even more than Gone With The Wind. I'm sure having a female lead whom I can respect is a large part of it. Whereas I wanted to spank Scarlet as the spoiled brat she is, the young lady in this book is a delight. For as naive as she is, she exhibits character and wisdom beyond her years (as do the real people with whom I associate). Set in a beautiful time gone by, this story qu Did Margaret Mitchell fake her death and change her name to Kathleen? This story was endearing and heartfelt. It swept me away to the South and a time when women were meant to be meek, yet Emma is a voice even modern women can appreciate and aspire to. The thrilling family drama lends excitement to an unconventional love story. Can’t wait to read the next book. The story was interesting. The cast of characters were well developed and lively. I can't wait to read the next in the series. I loved this book. The time period and plot were brilliantly managed by the author. Characters were fantastic throughout. This is a wonderful book by a terrific author. When I first began reading this book, I thought, "I will start this now and take my time with it". I am not much into historicals because when I finish the book I realize that they would all be dead now, in my time, and that makes me sad. However, once I began reading it, I couldn't put it down. There are lots of laughs and you become so attached to the characters that you can't let go. So, now, here I am, anxiously waiting for the next book! This is the first book that I have read from Kathleen Eyke and I was not disappointed! The well written storyline along with the well developed characters just hooked me from the very beginning and kept me so enthralled until the very end! I look forward to see what this author writes next!